It’s been a long, bumpy road to the final bracket of the Heroes of the Storm Summer Global Championship Finals at Dreamhack. We’ve seen a few games play out last week before the last bracket was finalized — including one series which ended in an upset (and broke my heart). In addition to the schedule, this week behind the break we’re running down the teams that we’ll see duking it out to become the Summer Global champions. Long the global favorite, Korea’s MVP Black seems to have fallen apart a bit since their semi-scandalous interview a few weeks ago, where they said they may leave the game. Dumpstered by Tempest in the Super League finals, MVP Black is looking for revenge, prize money, and just maybe a reason to stick around. North America’s sole remaining hope for victory, Naventic knows how to bring it. Though they were felled in the very last match up with Gale Force Esports in the last NA regionals, Naventic had already qualified handily in the previous regional. It’s a tough group, and Naventic is part of what makes it tough. China’s eStar has had a remarkablely stable roster with a lot of success, including some big wins over Group B competitor X-Team in Gold Hero League this summer. Expected to be eliminated in the first group series last weekend, Please Buff Arthas from Taiwan pulled off a stunning upset against Gale Force Esports in order to make it to the finals bracket. The matches were close, and the last one ended with a thrilling backdoor core rush. While they’re not favored to win it all, PBA’s proven ability to pull out a victory cannot be discounted. 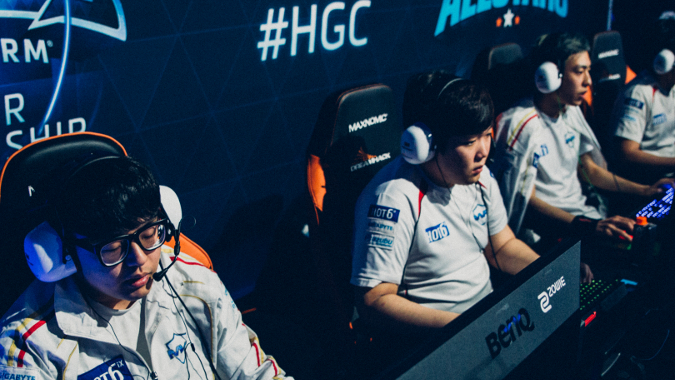 The only team to defeat MVP Black this season, Tempest out of Korea is poised as a favorite this summer. The series between the two was incredible to watch, and it’s going to be a fun time watching them regardless of what else happens. The teams from Europe, Dignitas and mYinsanity, are battling it out through the same side of the group stage. 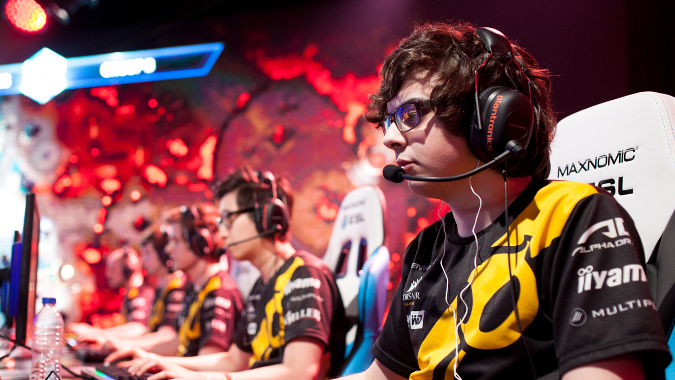 Dignitas defeated mYinsanity to take the EU crown fairly handily, not dropping a map all competition but mYinsanity was pretty convincing in their victory through the group stages of the summer competition. China’s X-Team actually finished third place in Gold Hero League this season. They were defeated in the previous group stage by GHL first place champions MVP Black (who were ineligible to qualify in China), but came back through the loser bracket with some big wins. You can watch the finals matches on the official BlizzHeroes Twitch stream. Set your alarms, because the group action starts at 5 am CST June 18th and 19th, with the final matches playing out on Monday at 5:30 am CST. I’ll see you there! Please bring coffee. Please.